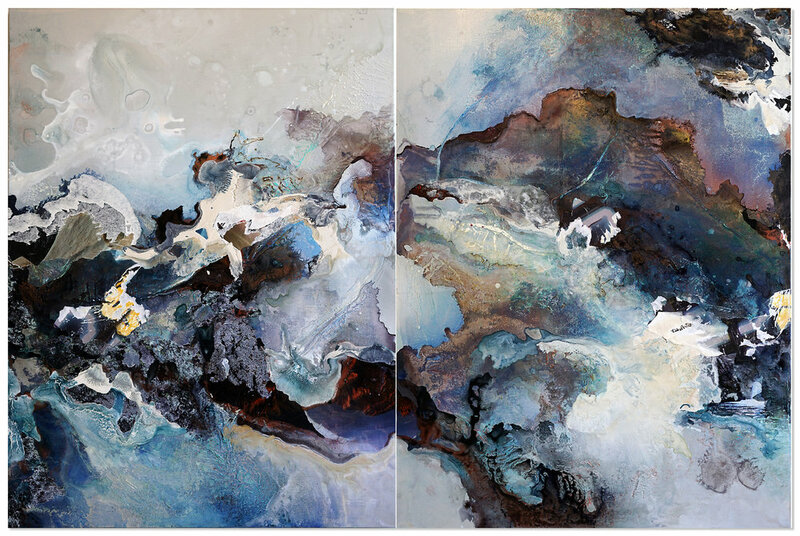 Controlled Chaos is recognized for its energetic, expressive techniques utilizing diverse media such as enamel, acrylic, spray paint, papers, organic materials and photography. Inspired by nature’s life cycles of growth, decay, evolution and rebirth, each work aims to explore the surrounding environment at a micro and marco level. From New York City to Zion, Utah, images, materials, colors and energy were documented; multilayered surfaces are then repeatedly built up and removed, revealing hidden moments that open up a world of possibility to the observer.